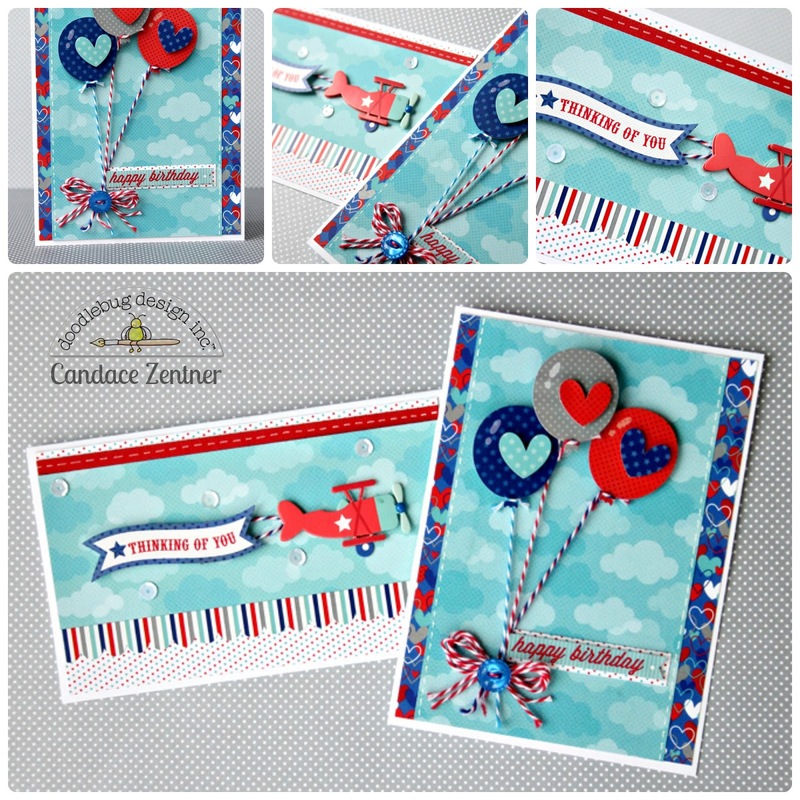 Candace from Scrappin' 2 Little Princesses here today, sharing a couple of cards made with the new Patriotic Parade collection. Since I am Canadian I wanted to show the versatility of this collection and that it can be used for many occasions! 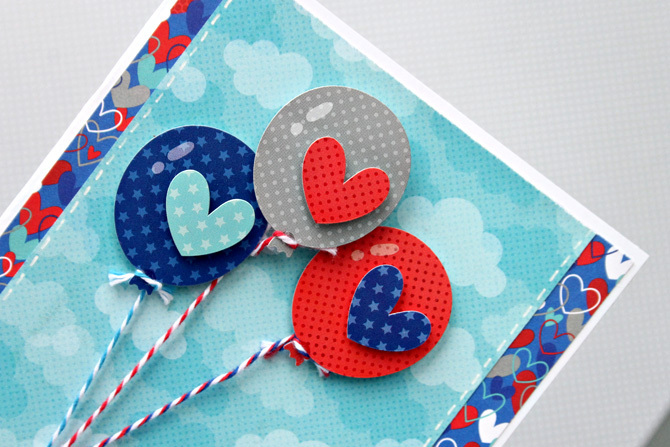 I was instantly drawn to these super cute balloons, which I added little heart stickers to to make them even more cute! 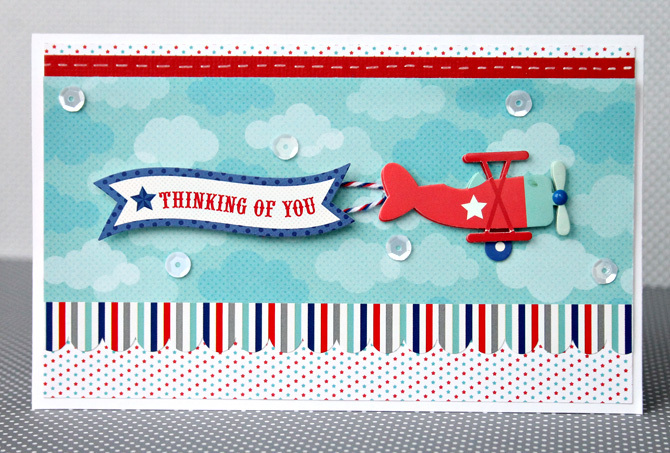 This collection has some really great matching sentiment stickers for occasions other than July 4th, which I love! I have been so anxious to play with this cute little Doodlepop plane! I love adding a few sequins to every project and I thought the pretty white ones were fitting in the clouds. 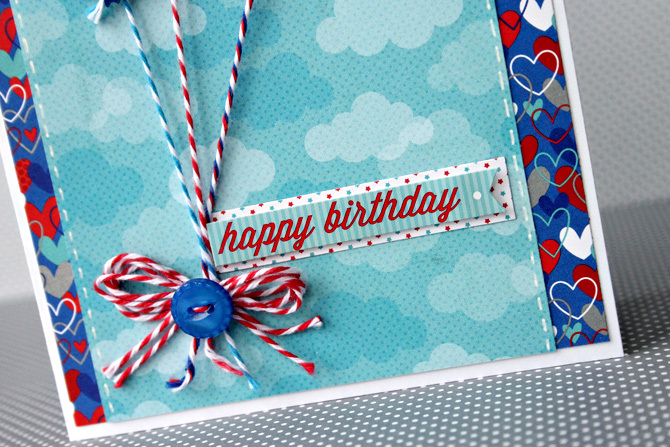 One of my favorite elements in the Doodlebug collections are the Fancy Frills stickers. I can ALWAYS find a place to put them, like along the edge of a layer of patterned paper. 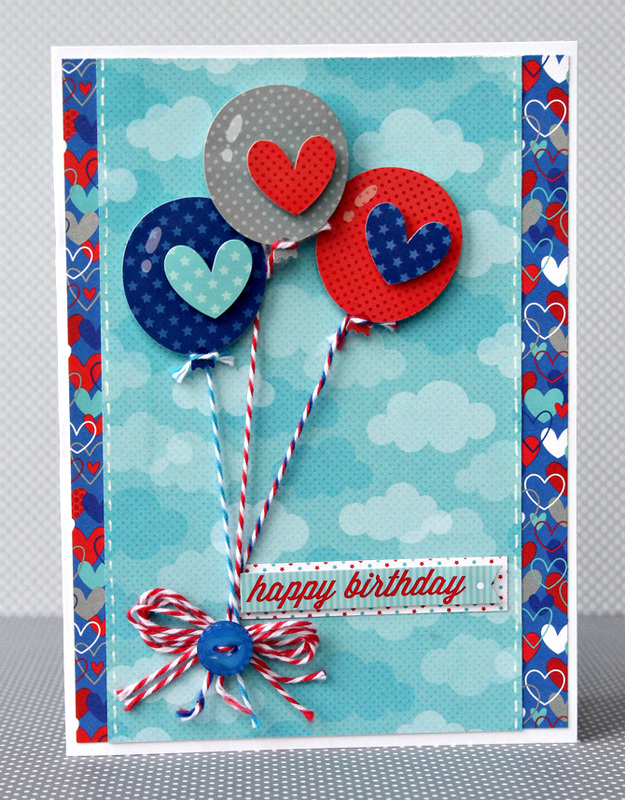 I hope you were inspired with how I choose to use the new Patriotic Parade collection! The color combination is so fabulous and fun to play with! Love the cards! I am loving how this line is so versatile and doesn't have to be used just for the 4th! Pinned these awesome cards to my card board! 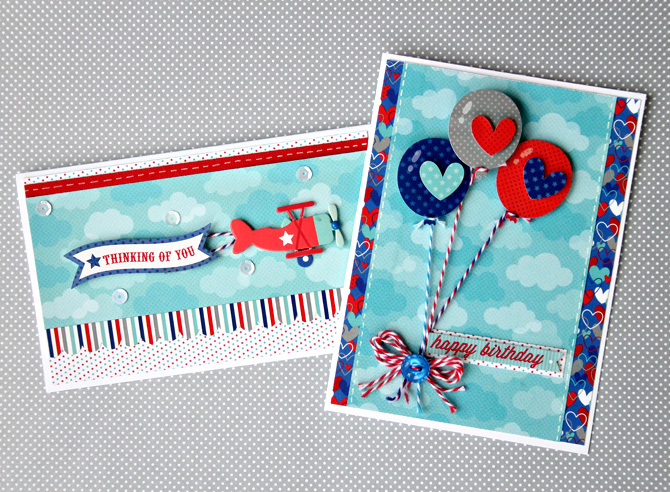 BOTH of your cards are SUPER CUTE Candace - LOVE the designs - your hearts have won my heart and your plane will definitely fly in well wishes!!! LOVE that you have shared a WONDERFUL way to spread ALL YEAR CHEER with Patriotic Parade!!! Super cute! 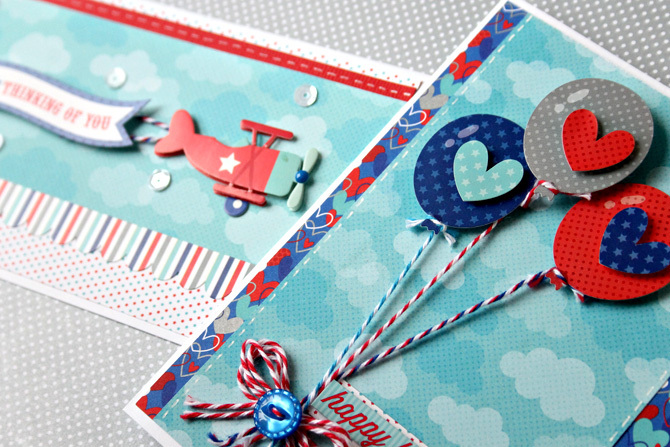 Love the balloons and the airplane!!! 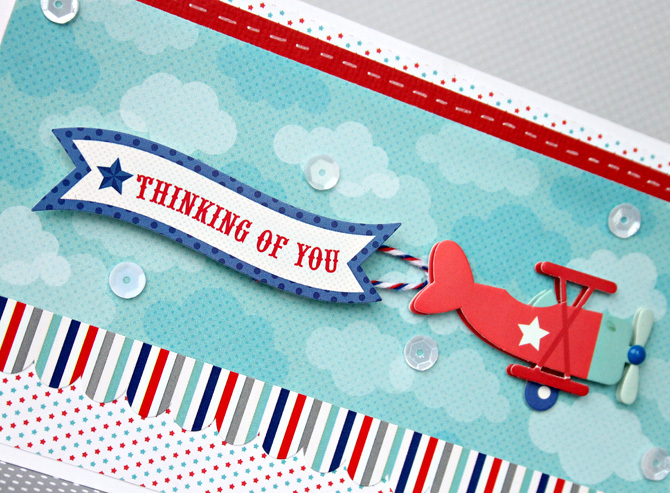 Super cute idea and these designs could be used for all types of cards! I am so proud to be an American. This set is amazing and the possibilities are endless! I love it!!! These are adorable Candace !!! These cards are super adorable! I love the airplene, it remind me of my son, he loves airplanes! This colection is sparklingly awesome!!! If you only knew how red, white and blue thrills me through and through!